As I take in the scene around the pool at the Saguaro Hotel in Palm Springs, it hits me how out-of-place I look. Dressed in head-to-toe black – except for the deathly pale skin not covered by my T-shirt and exercise tights – I look like I’ve come from a funeral, albeit one with a very casual dress code, in contrast to the mosaic of colour around me: yellow sun loungers draped with pink towels, striped beach balls and an inflatable flamingo drifting on the surface of the crystal blue pool, every block of the hotel bearing a wall painted a different shade of green, purple, orange, the leaves of those iconic tall palm trees, bright green against the saturated blue sky. The Saguaro Hotel. Photo: author’s own. 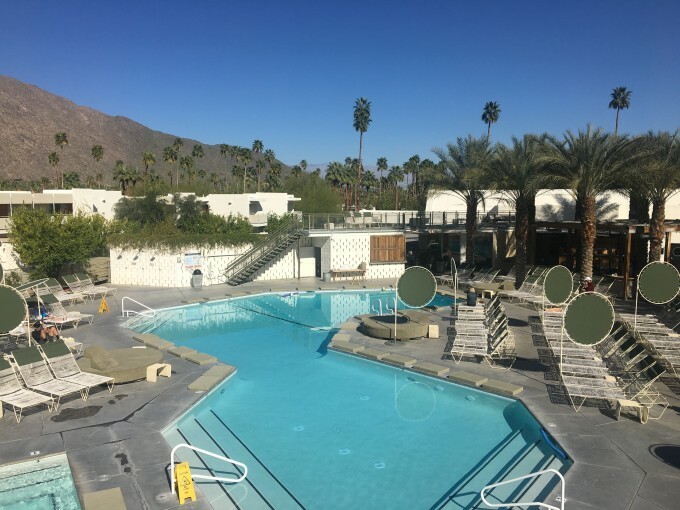 Having just arrived from winter in New York (hence the pasty skin and all-black outfit), Palm Springs is an assault on my senses, although the place must be overstimulating for anyone seeing it for the first time. And not just because of the golden Californian sunshine, distinctive mid-century architecture and species of cactus sprouting from every garden. This city of just 46,000 people overwhelms with an art and culture offering to rival many a metropolis, and the desert – both alien and alluring – as its backyard. 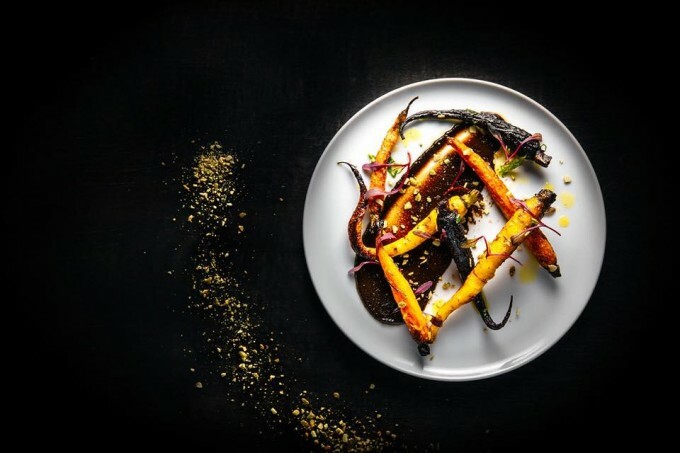 Then, there’s the diverse food scene shaped by the proximity to Mexico, fine-dining fare in Los Angeles and southern American cuisine. 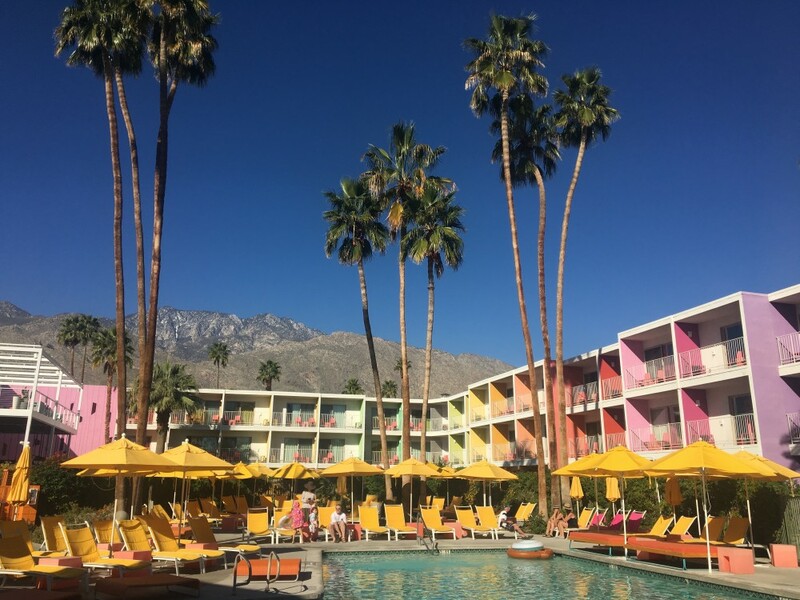 All of this combines to make Palm Springs the ultimate US holiday destination. 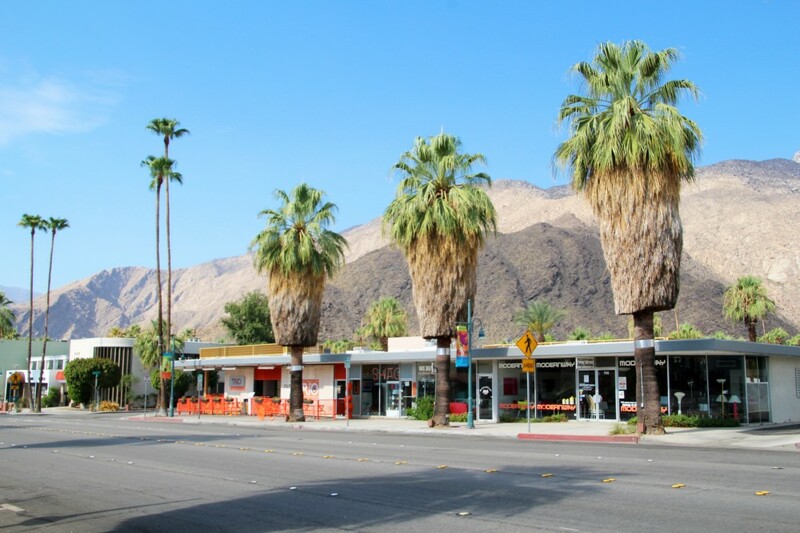 Palm Springs began to cultivate this status as a cult American vacation town in the 1930s when Hollywood stars, who were often contractually obliged to stay within a 160km radius of Los Angeles, would drive the two hours south-east to the desert oasis on weekends or in between shoots. 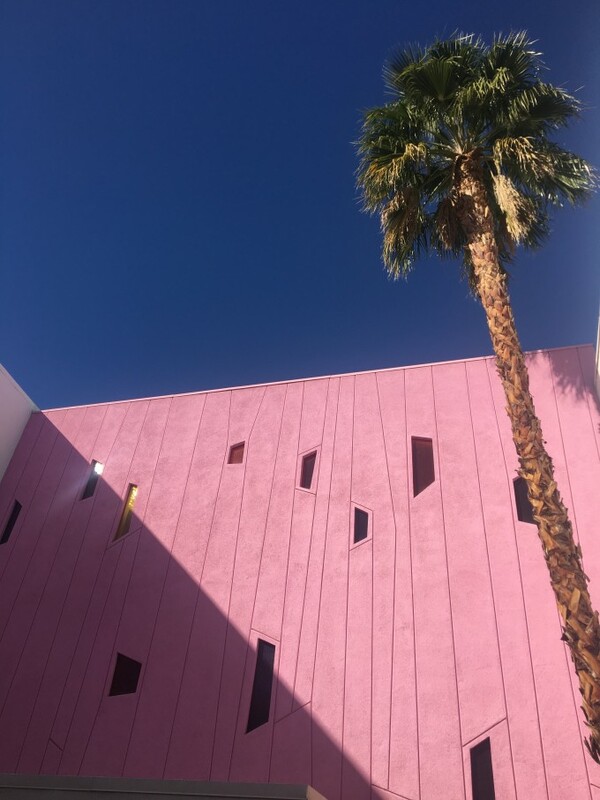 The A-list brought a stylish aesthetic – not to mention their hefty film studio pay cheques – and the place became a hotbed for visionary architects inspired by the desert landscape. Thankfully local preservation efforts have ensured a lot of homes and buildings are still standing today and the best way to see them is on an architecture tour. 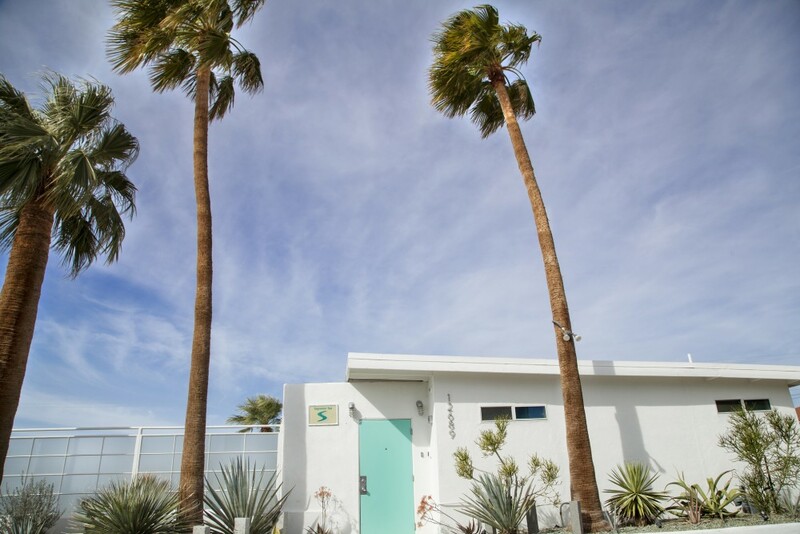 On Palm Springs Mod Squad’s small group tour, you’ll learn the mid-century modern lingo, how to tell a Wexler from a Fray, and get to see homes of icons past and present, from Frank Sinatra to Leonardo DiCaprio (ask your guide to tell you their best celebrity stories). Admiring the interior of this ridiculously beautiful abode can only be done on a tour which costs $60 ($45USD) per ticket and often sells out weeks in advance (in case you haven’t gathered, people in Palm Springs are dead serious about architecture). If you miss out or are a budget traveller, you can still wander the visitor centre and landscaped gardens for free. 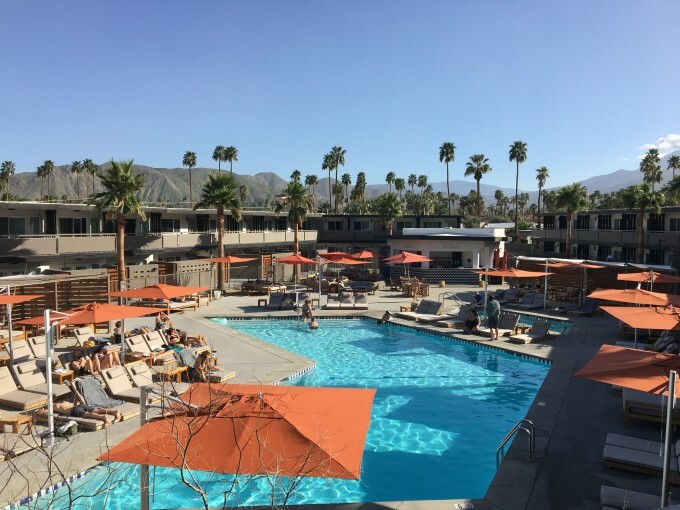 Speaking of being on a budget, Palm Springs isn’t always a friend to cut-price travellers, but one of its most incredible experiences will cost you less than lunch. 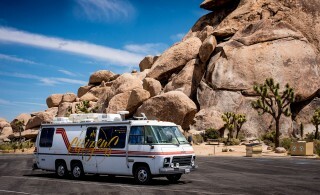 The entrance fee to Joshua Tree National Park ($5USD for individuals on foot or $15USD per car) lasts for a week, allowing plenty of time to explore the trails that weave through the rugged red rock formations of the Mojave and Sonoran deserts, dotted with the twisted trees eponymous with the park. In Hidden Valley, you can let out your inner child and climb up the mounds of enormous rocks and the Keys View lookout offers an especially Instagram-worthy vista. A day trip to Joshua Tree is possible, but if you camp overnight you’ll get to see the outrageously pink sunrise and sunset. When the desert is quiet you can really feel the mystical pull that draws people out there. For the less adventurous or those short on time (as is often the case for visitors jetting in and out for Coachella), there are ways to immerse yourself in Palm Springs’ intoxicating natural landscape for a good time, not a long time. 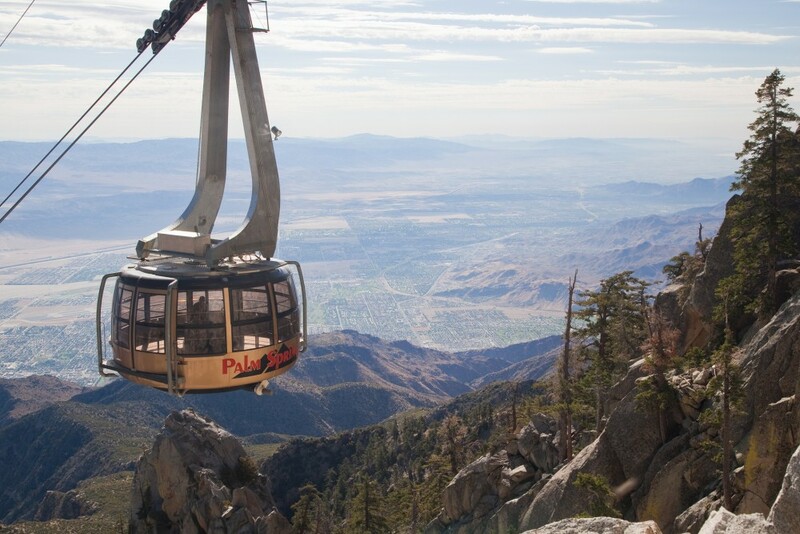 The Palm Springs Aerial Tramway is basically a cheat’s way to take in the spectacular view in a 30-minute round-trip. The biggest of its kind in the world, the tram is a windowed cable car that goes 4km up Chino Canyon to a mountain top station sitting at a height of 2600m, offering incredible views of the valley along the way. At the top, there are hiking trails as well as some touristy restaurants and gift shops, but there’s no shame in getting straight into the next cable car to head back down the mountain. 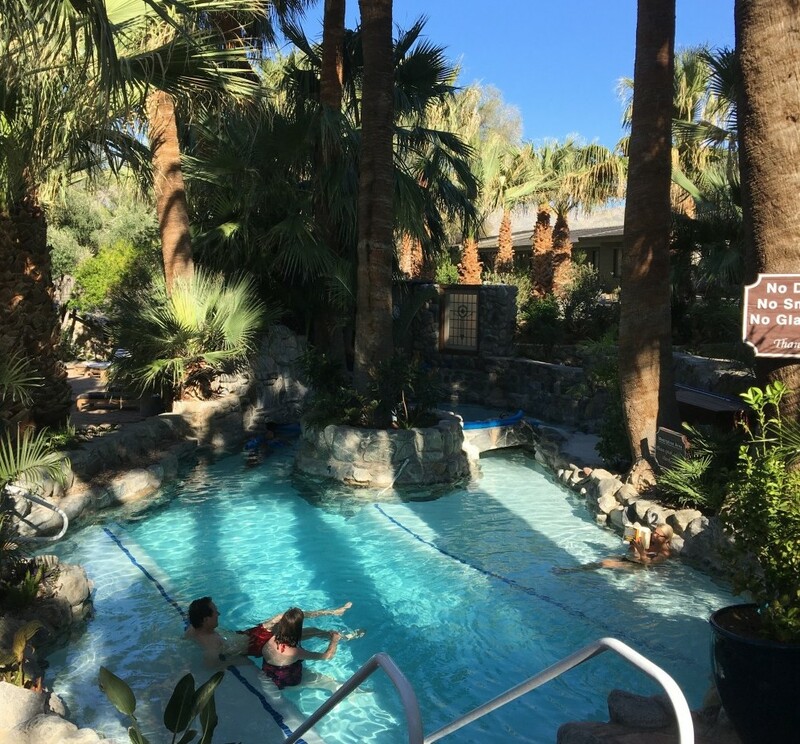 But my personal favourite way to experience the natural beauty of the area when you’ve only a few hours to spare is a visit to Desert Hot Springs, an area about a 30-minute drive from the centre of town famous for – you guessed it – hot springs. Two Bunch Palms is one of the best; a hotel and day spa with pools of mineral-rich hot water hidden around the leafy property, which has been around since the 1940s, when Hollywood stars (and the gangsters they fraternised with) made the most of the secluded location. Notorious prohibition-era criminal Al Capone used it as a hideaway because, thanks to the hill, he could see if the authorities were approaching. It’s at Two Bunch Palms, soaking in the muscle-soothing heat of a small pool shaded by palm trees, that I see Bernie Sanders reclining on a sun lounge. The American senator, who Hillary Clinton defeated in the democratic primaries, has stayed engaged in post-election political life and has vowed to try and help Americans find common ground. I wonder if I’m hallucinating from being in the hot water too long, but the glances in his direction from other bathers confirm he’s really there. I am hopelessly superstitious, and so I take this sighting of Leisure Bernie, resplendent in the glow of the California sunshine, as a sign that the USA is going to be okay – and that Palm Springs really is all the best bits of America rolled into one. 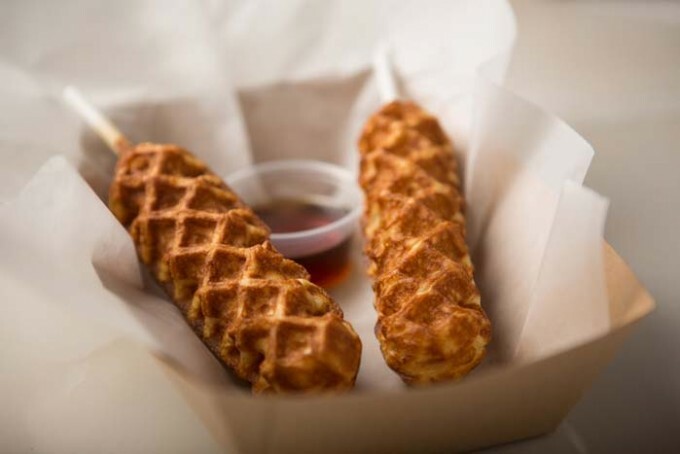 You can find almost anything you’re craving on any budget in Palm Springs. 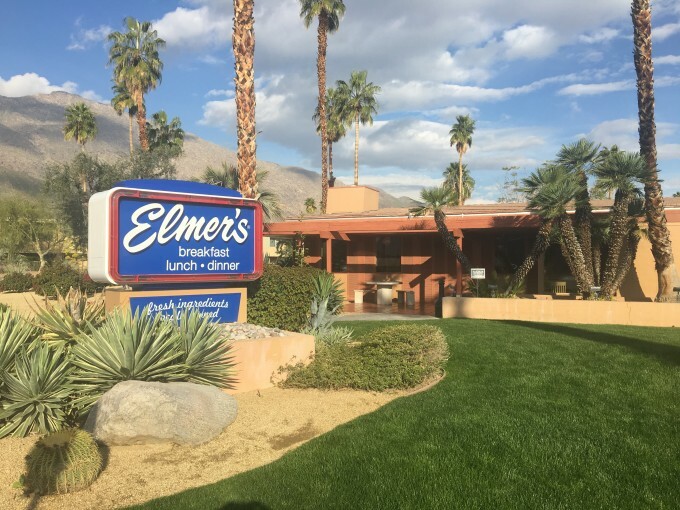 Elmer’s is the classic American diner of your dreams with its red and mustard leather booths, hearty menu of burgers and sandwiches and never-ending free coffee refills. King’s Highway at the Ace Hotel is a hipster twist on the classic American diner. 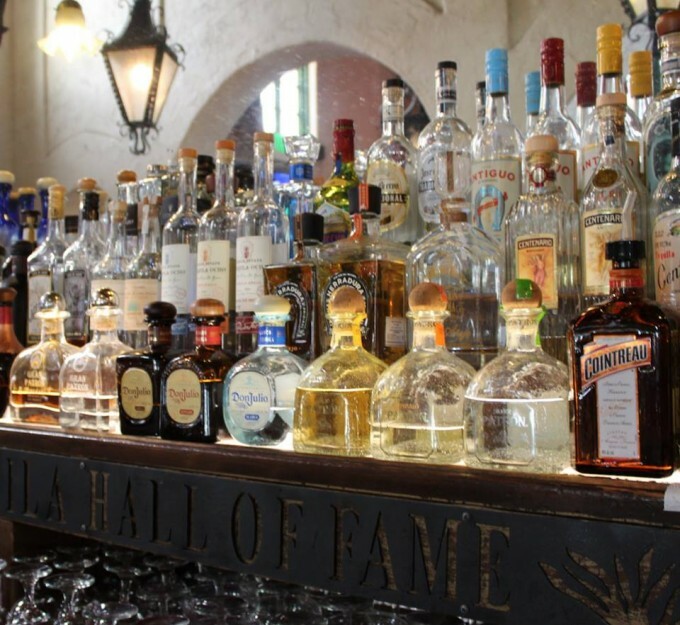 Depending on your fancy, order the Ensenada Fried Fish tacos or Desert Highway Burger, and a craft cocktail or beer if it’s that time of day (the Amigo Room bar here is a great late night spot). The ultimate affordable eat though might be Frankinbun, a hole-in-the-wall place doing gourmet hot dogs and other meaty treats, alongside vegan food: carnivores can grab a chilli dog or currywurst while the vegos fill up on chilli cheese fries or a “tornado potato” (spiral cut potato on a stick topped with truffle salt, chilli and lime or sour cream), and your group can avoid hangry fights for a few hours. 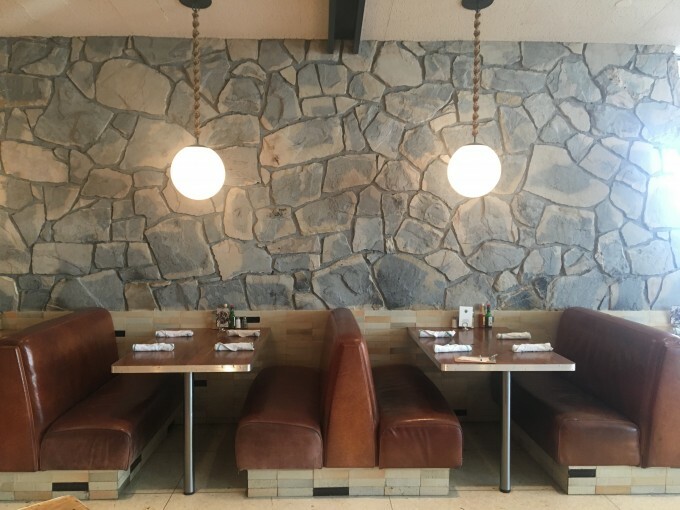 If you want to step it up a notch, head to Workshop Kitchen + Bar for modern American fare in a minimalist, industrial-feel space where ingredients are sourced from nearby farms (whatever you order, be sure to get a side of duck fat fries). For a historic, old Hollywood feel, go to Melvyn’s restaurant at the Ingleside Inn, which was once a hangout for Frank Sinatra and the Rat Pack. Las Casuelas is a Palm Springs institution, serving up authentic Mexican on the terrace where you can sip a margarita and watch the action on the street. V Palm Springs is a recently refurbished property with rooms that look onto the pool area, which has an upbeat vibe thanks to the house music playing day and night and a decent bar with simple snacks. The nearby Ace Hotel and Swim Club has more facilities, including the Feel Good Spa and on site restaurant, and the stylish decor attracts a hip crowd (even if you’re not staying you can hang at the swim club for $20USD per day pass, Monday to Friday) .You might recognise The Saguaro from Instagram: the colourful property is a series of photographic moments, and the on-site Mexican restaurant El Hefe is the place for modern Mexican cuisine. Check out Qantas flights to Palm Springs.